2. Tap More at the upper right. 4. In the Display menu, tap Contacts to display. Note: You can only recover the contacts that have previously backed up. If all the contacts are visible, but you still cannot find what you want, please read carefully the following two methods to restore deleted phone numbers from Samsung Galaxy S8/S7/S6/S5. 1. Go to Google Contacts. 2. Click on “More” on the upper left of the interface. 3. Scroll down the list to select “Recover contacts”. 4. A small window will pop up, asking you to choose a time to restore to. Click “Restore” to finish this process. 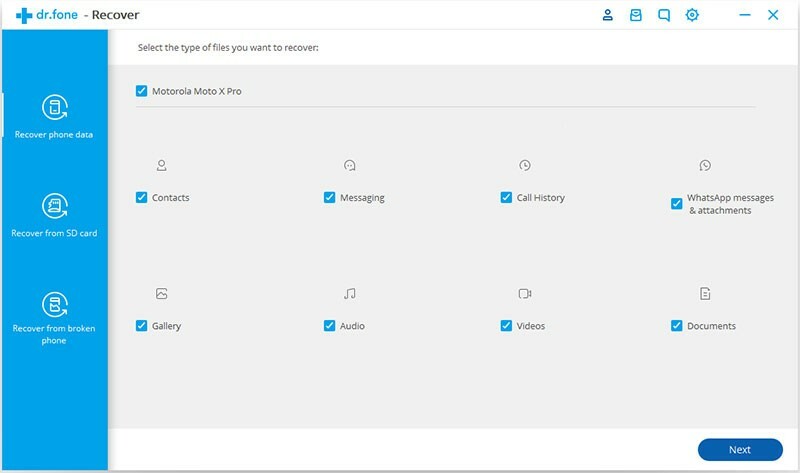 The first method is for those Samsung users who have backed their contacts up, but what about those who have no habit of doing backup? 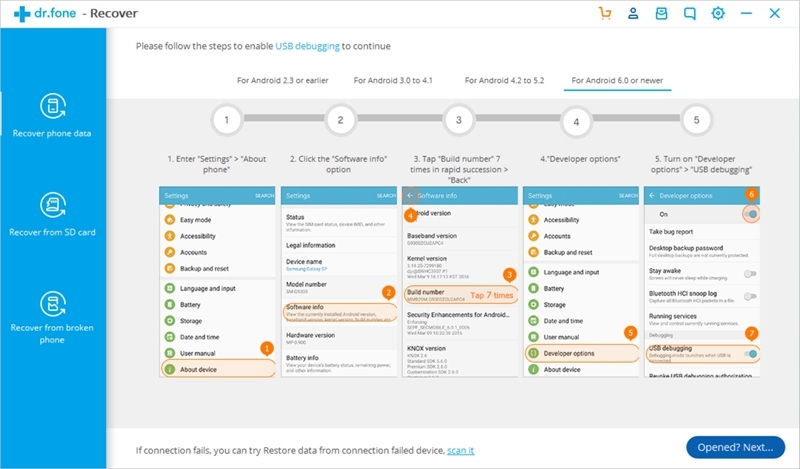 Don’t worry too much, we recommend a reliable remedy to you – Android Data Recovery toolkit, which is quite prestigious among Samsung phone users. 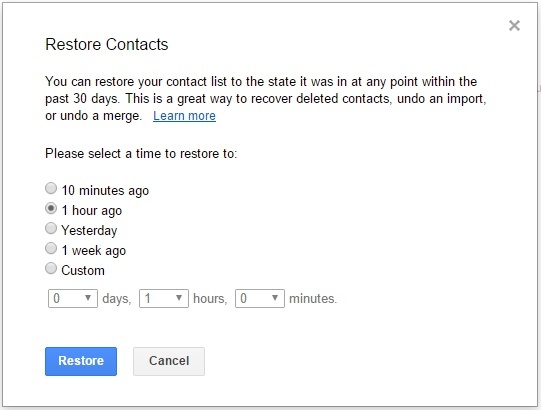 Then you can start recovering your lost contacts list in accordance with the following guidance. Tip: Please stop using your Samsung device after accidental deletion, turn off your phone’s data and wifi features or switch on the airplane mode, just in case that the data is overwritten by new messages or calls. 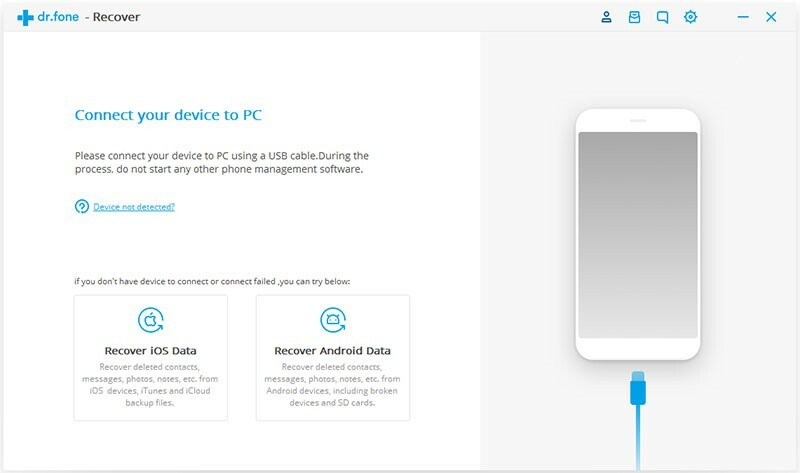 Step 1: Launch the program, enter “Recover” feature from the dashboard and then connect your Samsung Galaxy to a PC. Step 2: A window may pop up to remind you to enable USB debugging, if it does, tap on “OK” to authorize your PC via your Samsung device as below. 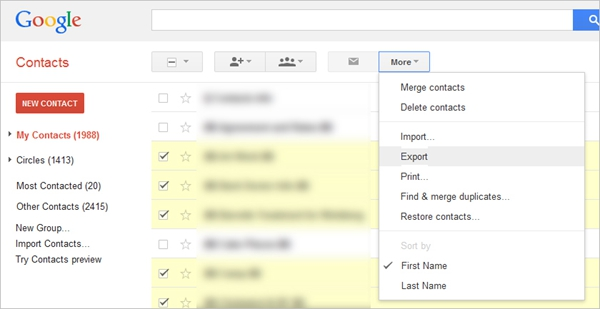 Step 3: Select the first checkbox – Contacts and then click “Next”. Note: The tool’s built-in rooting function will try to root your device automatically if you haven’t rooted your phone before. Step 4: Wait patiently, it may take some time to scan the deleted contacts, once the scan complete, click on “Contacts” in the left and preview the recovered contacts, finally click on “Recover” button. 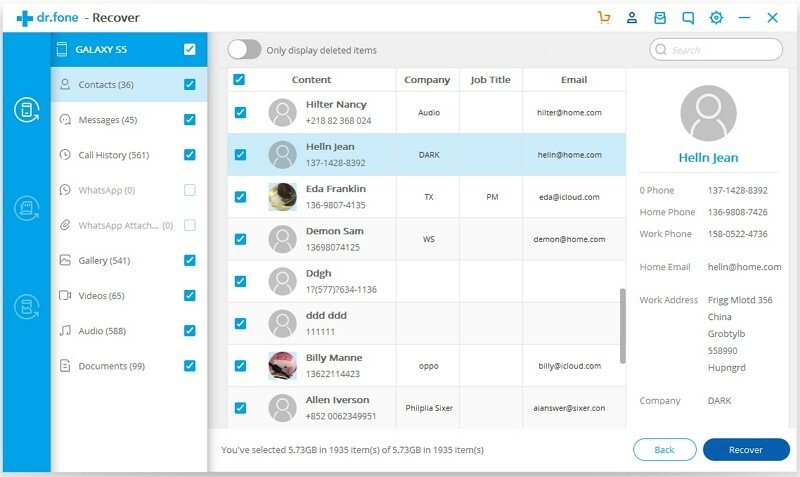 The restored contacts include phone number, contact name, E-mail will be saved on your PC as vcard, you can send them back to your Samsung device whenever you like. Here is a tip for you to prevent your Samsung device from losing contacts, that is transferring the contacts list to present SIM card or another device. Situation 1: If you usually save your phone numbers into internal storage, export them into your present SIM card. 1. Go to “Contact” on your Samsung phone, then click on the menu button or “More” at the top of the screen. 2. Tap the following option in turn: “Settings > Import/Export contacts > Export to SIM card”. Then select the ones you want from the contacts and tap on “OK” to confirm export. Note: You can set the SIM card contacts invisible, so the contacts list will not display repeatedly. Situation 2: If you have an idle phone, use it to backup your contacts. 1. In your present phone, go to “Contact” tap the following option in turn: “Settings > Import/Export contacts > Export contacts”, and choose the directory to save your contacts (vCard) file. 2. Copy the vCard file to your previous phone, next go to “Contact” and tap “Import contacts” in the same step, Your phone automatically searches for contact (vCard) files on the internal storage. Hope that the above methods can help you to solve the problem about restoring contacts from Samsung Galaxy S8/S7/S6/S5. What we want to emphasize is that the lesson you should learn from losing important data is to form a habit of doing regular backup.